As Supervisor at AMC you’ll assist the management team to make sure the theatre runs smoothly so that every single guest enjoys the show. You’ll be the not-so secret to our success. At AMC, we live in a team-based culture where a take-charge approach exists at all levels. We expect that from you, too. We also offer continuous training and development programs, highly competitive compensation with performance-driven bonuses and excellent benefits including free movie passes and health and 401(k) plans. 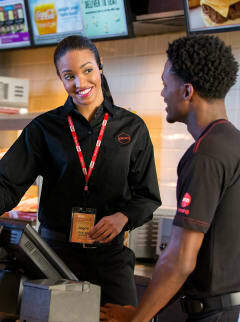 If working in the entertainment world, delivering superior customer service and having fun matter to you, apply online today.